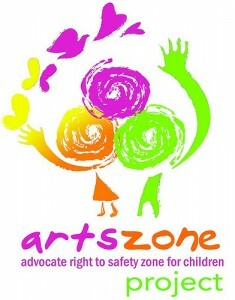 The Advocate Right to Safety Zone for Children Project (ARTS ZONE Project) is a creative campaign that promotes children’s rights to safety and protection from any form of violence and abuse. It specifically promotes positive disciple as an alternative to corporal punishment. It aspires to ensure a child’s positive growth and active participation towards reaching his/her full potential. Since its launch in 2009, the project has forged partnerships with schools, barangays, NGOs, church-based ministries, and community organizations. Its various programs and activities have been implemented in the most populated cities of Metro Manila, namely Caloocan, Makati, Manila, Pasig, and Quezon City; as well as in Cainta, Las Piñas, Valenzuela, Osamis, Albay, and Dumaguete. Through creative workshops, performances, and a strategic popularization campaign, PETA uses the power of the arts to provide dialogue and generate awareness of the prevalent practice of inflicting violence on Filipino children and the value of shifting towards positive discipline. By working with both children and adults, PETA hopes to help in the transformation of society beginning with stopping children’s experiences of violence and providing a platform to advocate for a safe and nurturing environment for Filipino children—in our homes, schools, and communities. The project is supported by Terre des Homes Germany, and the Federal Ministry for Economic Cooperation and Development (BMZ).